Jessica’s initial familiarity with plants began as a girl living in an urban area of San Diego, California. Her only connection to plants then was through her grandmother, who grew plants in her backyard—in particular yerba buena. Whenever anyone in the family was ill, Jessica’s grandmother brewed yerba buena tea and offered it along with prayer for whatever ailed her children and grandchildren. Plant spirit medicine became a life support for Jessica after meeting Eliot Cowan in 1995. Since receiving plant spirit medicine, her life’s purpose shifted from a professional academic track to a sacred path led by the longing in her heart. As part of this shift, she experienced her completion of a doctorate in education as being held and guided by the wisdom of the plants, who were calling her toward a larger dream. 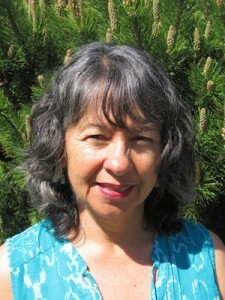 After completing her degree, Jessica followed this calling and trained in plant spirit medicine in 2004. She honors her relationship with the plant spirits as she feels their loving presence and witnesses their generous, deep healing nature. Having benefited from the subtle yet profound affect the medicine has had on her life, she is grateful to be able to share this extraordinary gift from nature with others. Jessica was inducted as a Lay Spiritual Healer in the Temple of Sacred Fire Healing in 2015, and offers plant spirit medicine in Carrolton, Georgia.